The Ubuntu Centre is a non for profit charity that was set up in France in 2009, with current members also based in the UK and in Belgium. 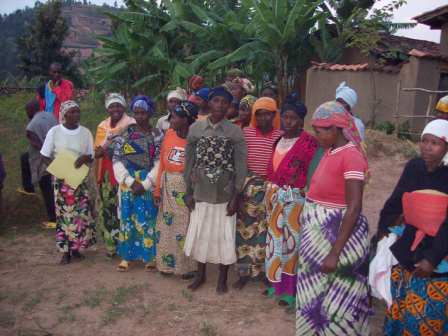 We work with the group of women ABIHUJE – meaning together – based in Bwira, in the West of Rwanda. You can find a map on the Rwanda page. Ubuntu means the essence of humanity, sometimes referred to as generosity. Ubuntu is also about getting involved on a personal level, a way of taking the responsibility of our own humanity. We believe that everyone has an intrinsic value and has gifts to share. In post-genocide Rwanda, more than ever, it is vital to go beyond differences, to be and to do together. The Ubuntu Centre fosters mutually supportive relationships through collective projects, in order to facilitate communication between members and to help them meet their basic needs. We support the community mainly through our contacts with the women from Abihuje. 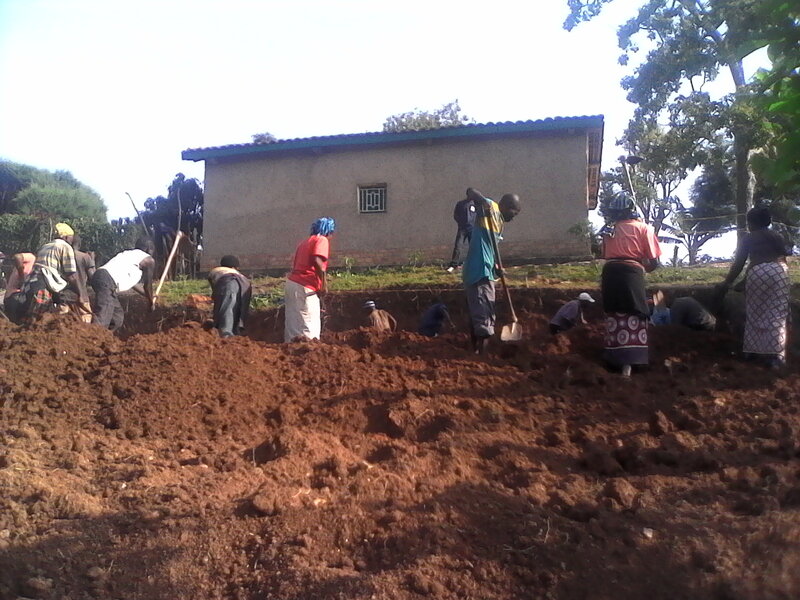 One of the aspects of the charity is the building of a community space for educative activities for both adults and children. Work is well underway and the space is already in use. Images of the centre can be found on this page. … if it were you, near your house, in your town. Over there, they don’t talk of towns, they talk of hills. The country of the thousand hills. … A house that is different from any other, a symbolic place where your humanity meets the humanity of others. Freedom and respect are one, you are at home. A sharing space, the house where you are allowed to receive and to give. We have a programme to support children who need help to continue their education, by providing for their basic needs and any school costs that their families cannot cover. Sponsoring a child means giving them the chance to learn without being hungry, to envisage a future, to make attending school, rather than helping in the fields, a priority. 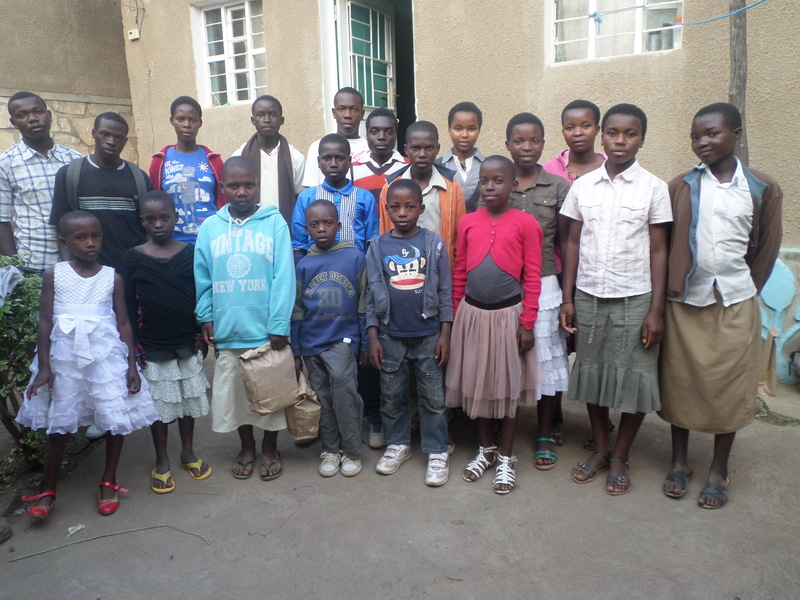 Our programme has already supported more than 30 children. 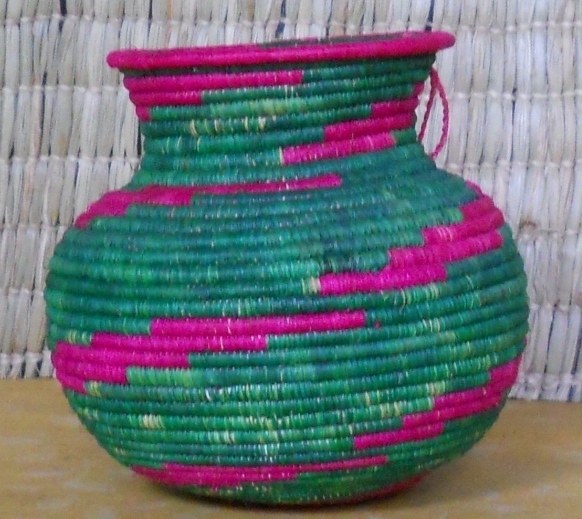 Women from Rwanda are very skilled at basket-making. This is a collaborative activity that provides an income and the products are as beautiful as they are useful. Baskets and mats are made of sisal and banana tree fibres as well as other grasses. They are sold locally but we also often have a supply, especially after a trip to Bwira, that we can sell either at craft markets or directly. Please email association.ubuntu@gmail.com for further information. i would like to purchase one of your amazing baskets with a pointed lid and a basket dish if possible please? can you please confirm prices in GBP and sizes and if can be sent to me in the UK? Thank you for your kind message. We have now updated our catalogue which you will be able to view on the « Artisanat » page. The prices are in Euros and we would use the current exchange rate to work out the price in GBP (currently 1€ ~ 0.84£). So for instance the pointed lid baskets are between €12 (~£10) and €15 (~£13) and the basket dishes are between €18 (~£15) and €22 (~£17). However, since our stock is in France, the price to ship them in the UK would most likely be almost as much as the price of a basket. We can work it out exactly for you if you still wish to place an order and then you can decide if you would like to go ahead or not. Please let us know! We’ve added a form specifically to order baskets on the « Artisanat » page so it may be easier to just use that one if that’s what you would like to do! Just to aknowledge the receipt of your payment which has been posted to us safely. G-d bless you. Merci beaucoup. 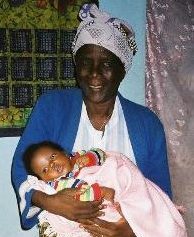 Murakoze. bless you! thanks so much. i am just going to print off the catalogue and then i can fill in the form… wow! there is so much choice and i will have to get out my rular! it will be such a blessing to be able to order and G-d willing, i will… soon.